Have a few mirrors you found in your grandma’s basement that need a lot of work? Don’t whip out the pocketbook just yet. Instead of paying an arm and a leg to have a mirror completely refurbished, spend substantially less by creating your own vintage masterpiece! Just follow these three budget-friendly, easy DIY tutorials to turn your old mirror into one you’d easily pay more than $100 for at an antique shop. All you need are a few materials and a bit of elbow grease! Vintage mirrors not only add unique character to your home or office, but they make incredible gifts and beautiful props for weddings, showers and parties. Add some gorgeous vintage flair to your home with one of these beautiful vintage mirror DIY projects. 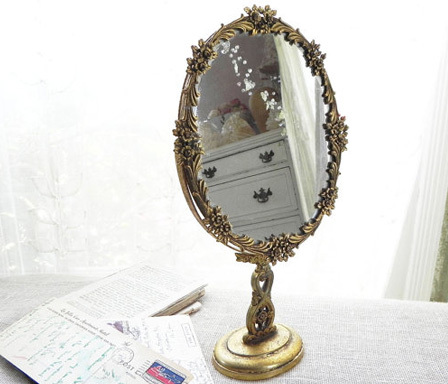 This is one of the easiest and most budget-friendly ways to add some glam to an old mirror. Some vintage painted mirrors, like this gorgeous white one on sale at Etsy, can cost up to $200. Save yourself $150-plus dollars and create your own that’s just as beautiful! Plus, for this project, you don’t even need a full mirror to start with, you just need a frame. Once your frame is painted, you can take it to a glass specialist to have them install the right-size mirror for you, or you can do it yourself by measuring the frame and finding glass that fits. To create a vintage, painted look, you use a brush or spray paint, depending on your available time and your painting experience. 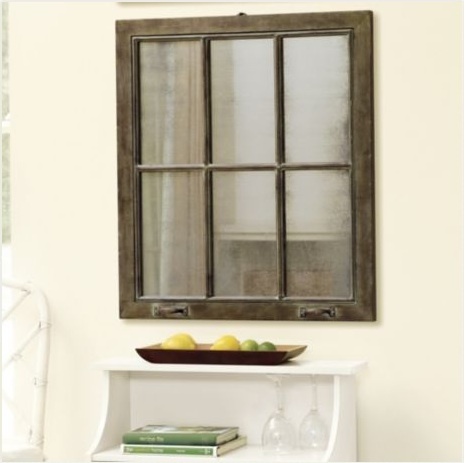 Windowpane mirrors are all the rage in home vintage decor, and it’s simple to see why: They’re stunning. However, a custom-made item like the one pictured by Ballard Designs, can cost up to $300. Create your own for half the price with this project — although it does take a bit more digging than the painted frame. To begin with, you have to find a paned window. You can find these at garage sales, antique shops or thrift stores, and for a little bit more money, you can buy them on Etsy. Then, to create the mirror look without having to remove the glass and have a specialist cut pieces to fit, you can use Krylon Looking Glass paint. A few coats of this will give the glass a reflective property while still offering a vintage, weathered look. 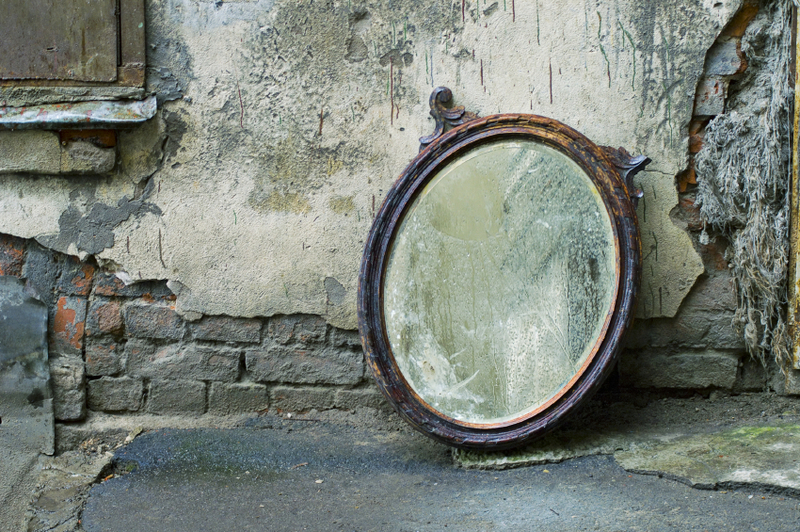 A store-bought antique effect mirror can cost up to $500, especially if it’s patinaed. Save yourself more than $450 and antique your own mirror. The end product looks just like a vintage mirror you’d see in a historic mansion or a quaint French bistro. To begin this project, you need a framed mirror, which can easily be purchased at Michaels or another craft store. For a truly vintage, historic look, try to find a mirror with an ornate frame that is already a bit weathered, like this one (which is less than $20!). 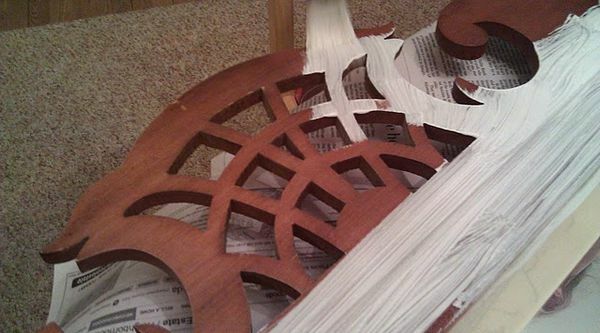 If you can’t find a weathered frame but want that look, you can paint it (as explained above) or chip away at some of the paint using a paint chipper. This will give it a very worn look. Turn your home into a vintage, antique wonderland with just a few hours time and these amazing mirror projects!